The Crew of the Southern Cross (left to right) Harry Lyon, navigator, Charles Kingsford-Smith, pilot, Jim Warner, radio operator, and Charles Ulme, co-pilot. Eighty years ago Paris Hill resident and Merchant Marine Captain Harry Lyon helped make aviation history as the navigator on the first flight across the Pacific from California to Australia. 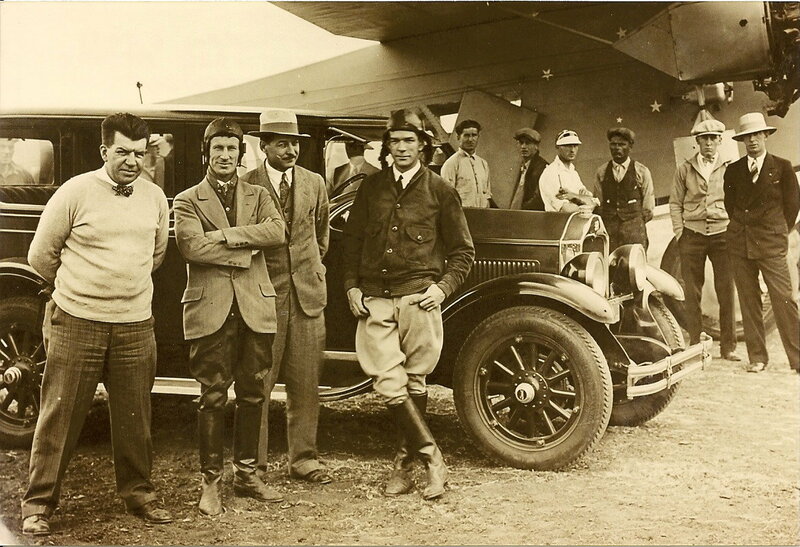 Known for his skill as a ship's navigator, Lyon was invited by Australian pilots Charles Kingsford-Smith and Charles Ulm to join the crew of the Southern Cross for this historic flight even though he had never flown in an aircraft before. Flying day and night over open ocean, through severe storms, using dead reckoning with the aid of compasses when radio contact was impossible, and with stops for rest and refueling in Hawaii and Fiji, the Southern Cross landed in Brisbane, Australia on June 9, 1928. Photographs and more details of this trip, the crew and the aircraft are on display at Hamlin Memorial Library & Museum along with many other items and stories of local historic interest. This beautiful quilt was made in 1848 for Mrs. Louisa Griffin Davis, the wife of the second minister of the Paris Hill Baptist Church, Caleb B.Davis. 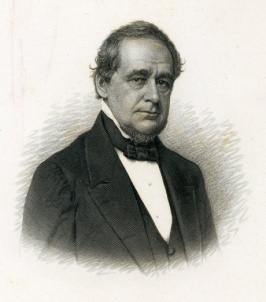 Mr. Davis preached on Paris Hill from 1837 until failing health caused him to resign in 1852. 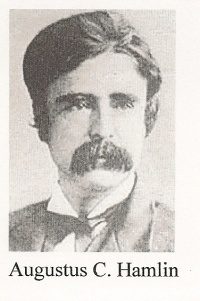 Davis was a proponent of temperance, a stark contrast to the first minister, Elder Hooper, but he had the support of some of the leading citizens of Paris and through tact and courage was successful in his ministry. 151 people joined the church during his pastorate, and he officiated at 69 marriages and 201 funerals. The quilt consists of 61 complete squares, each approximately 11 1/2" square, set "on point" surrounded with 20 half-square triangles and 4 quarter-square triangles and measures 101" x 101". It is particularly interesting because each square was finished individually with narrow binding and then the finished squares were sewn together. The quilting is expertly done with tiny stitches. There are 72 signatures on the quilt. 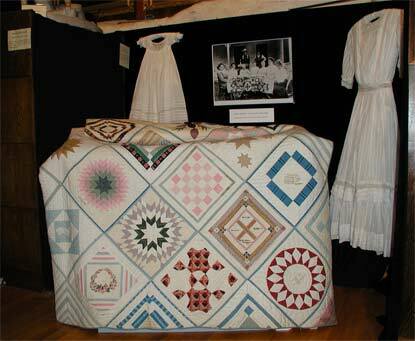 Much information about the quilters can be found from searching the Town of Paris History. 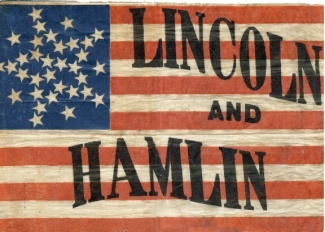 They ranged in age from 14 years old to 68 years old, and their signatures include the mother and two sisters of Hannibal Hamlin, a Paris son who was Abraham Lincoln's Vice President; and the wife, two daughters, and the daughter-in-law of Judge Steven Emery. Judge Emery's son is the only man whose signature is on the quilt. 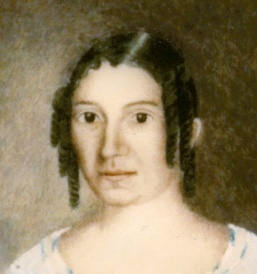 Also included is the signature of Sarah Jeannie Prentiss who, according to the Paris History, was a "lady of literary tastes and many accomplishments" including that "During the War of the Rebellion, when nurses were wanted to take charge of the loyal sick in Southern hospitals (she) volunteered her services... until the close of the war." 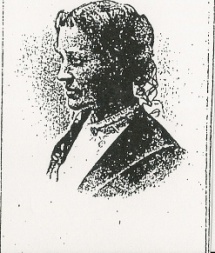 Persis Sibley Andrews, whose diaries tell us about life on Paris Hill is also represented. Although this quilt is not mentioned specifically, Persis writes about a quilting party on March 11, 1840. - we had as many as co'd sit about the quilt...the song went round merrily, indeed, but nimble fingers did not forget to ply the needle. We had lights so arranged that we quilted until 8 o'clock eveg--the gentlemen each one filling some office of my appointment or quilting; for instance... needle threader, w(hic)h by the way, was very useful, & certainly very unusual for a gentleman--brother Wm G was clerk to this latter office, for each young lady agreed to pay her own bill; & when the quilt was removed --, the paying up! 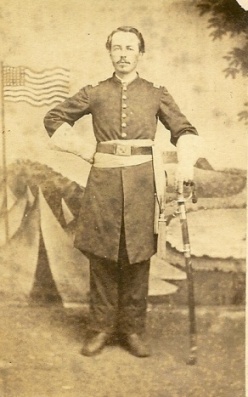 I guess every gentleman envied this officer then! Apple & fun finished the eveg."